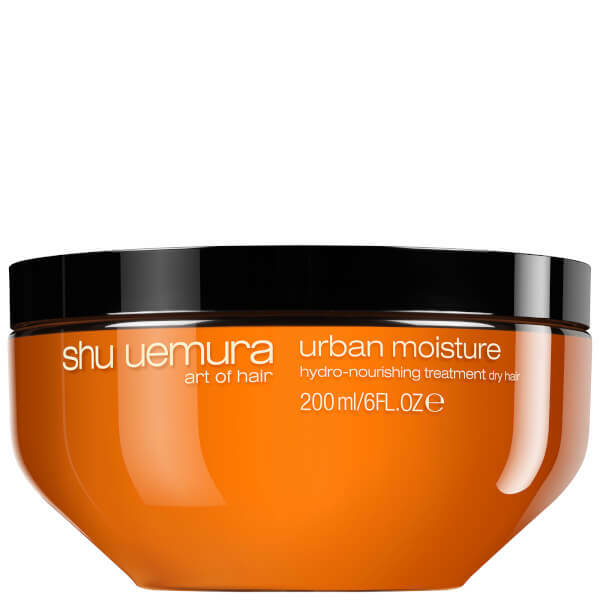 Treat dry, damaged locks to the Shu Uemura Art of Hair Urban Moisture Masque; an intense treatment developed for sensitised hair that is exposed to environmental aggressors. Harnessing the nourishing powers of Moringa and Red Algae Extracts, the masque works to replenish and revitalise lack-lustre strands, whilst improving manageability and detangling to leave hair soft, smooth and healthy-looking from root to tip. Apply to clean, damp hair. Leave on for 5-10 minutes. Rinse thoroughly. In case of contact with eyes, rinse them immediately. Aqua/Water, Cetearyl Alcohol, Behentrimonium Chloride, Glycerin, Amodimethicone, Cetyl Esters, Potato Starch Modified, Isopropyl Alcohol, Methylparaben, Trideceth-6, Tocopherol, Glycine Soja Oil/ Soybean Oil, Chlorhexidine Dihydrochloride, Cetrimonium Chloride, Alcohol, Safflower Glucoside, Hexyl Cinnamal, Hydroxycitronellal, Phenoxyethanol, Sodium Hydroxide, Gentiana Lutea Root Extract, Moringa Pterygosperma Seed Extract, Corallina Officinalis Extract, Disodium Phosphate, Citric Acid, Bht, Sodium Citrate, Parfum/ Fragrance.